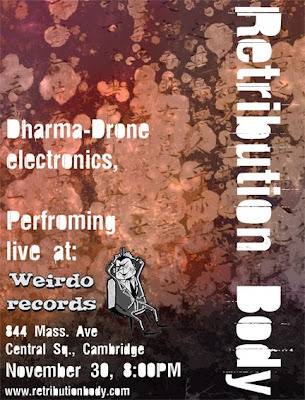 "I've picked up a last-minute booking to do an in store performance at Weirdo Records in Cambridge on November 30th. 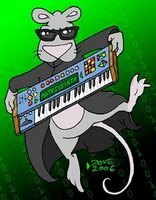 Due to the (tiny) size of the venue, I won't be able to fall back on my traditional tropes of extremely low frequencies at extremely high volumes, so this will be a good chance to hear something a bit different from me. It's a small room, so there's no excuse not to fill it! I hope to see many of you there. If you're not familiar with Weirdo Records and you're the kind of person who'd show up to one of my shows, you are missing out. It's a great shop, and well worth a visit if you are ever in Central Square.